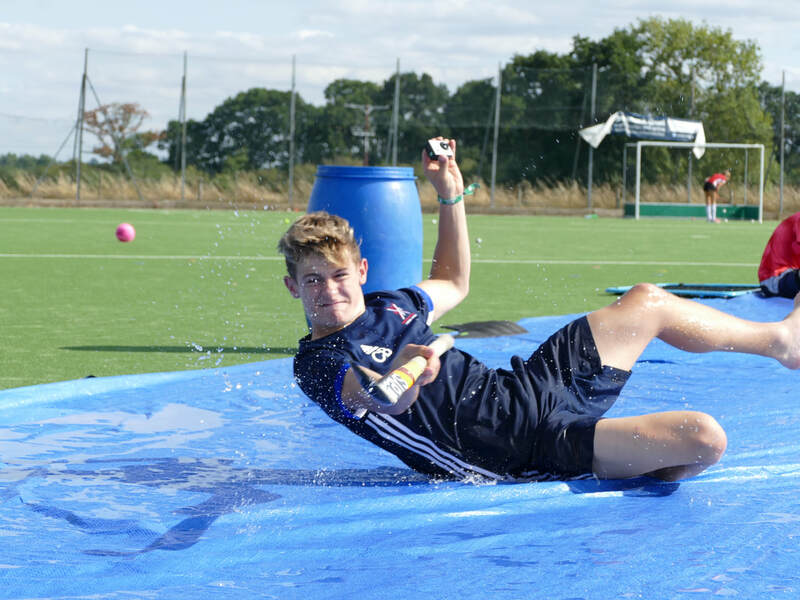 At every PerfX Hockey Camp and Masterclass, players will participate in lots of challenges and competitions where they can demonstrate their new found skills from the practises that go on beforehand! ​Players can expect to improve the smaller details within their game, possibly surprising themselves at their instant improvement in this area - our coaching team has a habit of finding those minor changes that make a big difference. The design of the Camp/Masterclass will ensure that all players have loads of fun, meet new friends, get lots of cool photo's and take away a better understanding of the game - making them a better player overall. Are all of the camps and masterclasses the same? PerfX Hockey guarantee that you will never have the same Camp or Masterclass twice! Every Camp and Masterclass is uniquely designed to cater to the age range and ability of the group that we have in front of us. ​Our coaching team will go back to the drawing board to design a completely new camp with different content for every single event. ​Once you have signed up you will be prompted to pay a 20% deposit for your total booking within 7 days of your order. Once this has been done you can simply pay the remaining balance in cash or card on the day of your session. With this being said, if there is an issue with this agreement please still book on - just simply speak to us and let us know of a more suitable arrangement. WHO COACHES AT THE CAMPS AND MASTERCLASSES? PerfX Hockey is proud to boast a roster of coaches that included current and former international hockey players alongside nationally recognised coaches. All of our coaches are fully qualified, insured and DBS checked. ​Coaching line-ups will be announced closer to your event. DO ALL PLAYERS TRAIN TOGETHER REGARDLESS OF AGE AND ABILITY? No. Before every event the coaching team will sit down and scour over every booking, paying particular attention to the 'player experience' information whilst also factoring in age. Players will then be sorted into small groups of about 8 players, these groups can and inevitably will change when and where required. time to get onto the camps! Book on to: 1 x May Half Term Masterclass, 1 x Summer Camp. This option does not include GK Masterclasses.